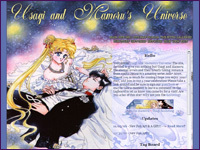 Welcome to By Starlight, your definitive source for all things Chiba Mamoru, who appears in the shoujo anime/manga/live action/musical Bishoujo Senshi Sailormoon. He's a character that doesn't get too much love from the fan base, so I thought, why not? Please use the menus to your right to navigate your way around this site. December 1, 2006 - Well, here we are finally! Real life has been very busy ever since I moved to NY, but I wanted to get the site re-vamped before it went completely by the wayside. So what's new? 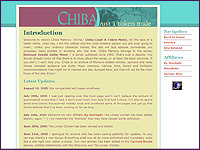 Well, we've got a new layout, re-written information, re-formatted image gallery with new images, new LJ icons, and new video clips. 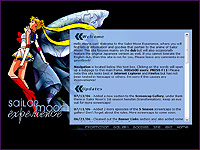 The beautiful image I've used in this layout was created by my very talented friend Soro. I do not know when I'll have an opportunity to update next so hopefully this will keep you occupied for a while. 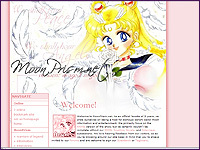 I will probably keep adding to the Video Clips and Livejournal icon sections, though. You may also have noticed that I moved...again. 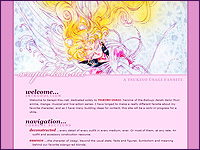 The original domain, Nocturnica.net, while not yet expired is basically abandoned, and while I was in the process of setting up my current, premanent domain with my portfolio and the like, Hoshi-chan from Serenitatis.com fame generously hosted the site while in its "limbo" phase. Thank you so much Hoshichan! Anyway, no worries, because I doubt I'll be moving the site again.